Sierra Nevada 12 pack sampler (No Middle Ground IPA; Flipside IPA; Tropical Torpedo IPA; Know Good IPA). This (with one of his daughters in video, too), while sipping on some Irish Gunpowder Gin and Jack Rudy Classic Tonic Syrup under sunny skies. Ahhhhh. Life is good right now in Vancouver, Washington. Peet's Big Bang Coffee and JM's Dominican. Forgot how good of an everyday smoke these cigars could be. Chilling with some Eels. Sierra Nevada Torpedo and Paul Masson VSOP. 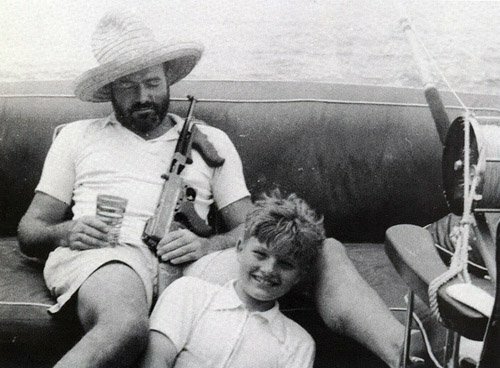 Revisiting some Hemingway short stories. Some of our favorite Radiohead songs. Great Lakes - Rally Drum Red Ale. Happy 4th to all! Coffee (for now) and some FJM.